Dialectical Behavioral Therapy (DBT) is an awesome skill set to have when it comes to navigating a world that can be extremely overwhelming at times. This is not the group where teens come and “just vent” for the hour. Instead, this group is psychoeducational that focuses on providing teens with the skills needed to cope with the emotions that can consume their lives, and challenge the thoughts that drive the emotions to arise in the first place. It takes a “real world” informed approach to all 5 modules of DBT (Mindfulness, Emotion Regulation, Interpersonal Effectiveness, Distress Tolerance, and Middle Path). 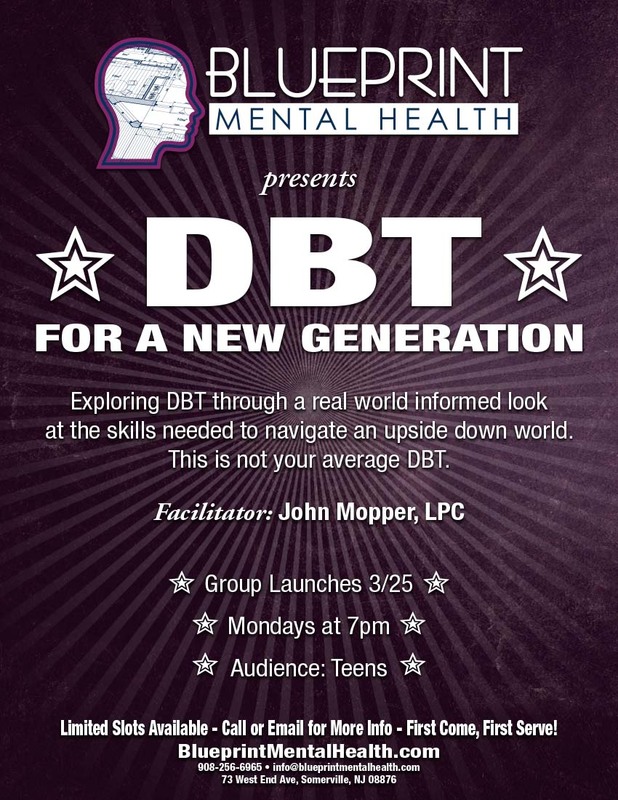 While DBT can be kind of dry, this group is definitely not that. We promise you won’t get any worksheets.